Jai Musiq returns. Since his debut project “The JJEP” and his sophomore project “Dolan Drive Dreams” released, Jai has been on an epic rise in his hometown of Memphis, TN. “The Sap Junt” perfectly blends Jai’s unique sound with his impactful lyrics. “The Sap Junt” couldn't come at a better time. With cuffing season right around the corner, songs such as “Luminosity” and “Patience” will be sure to capture your confidants attention. The track “Bad AF” shows Jai’s versatility, reaffirming his place on the music scene. 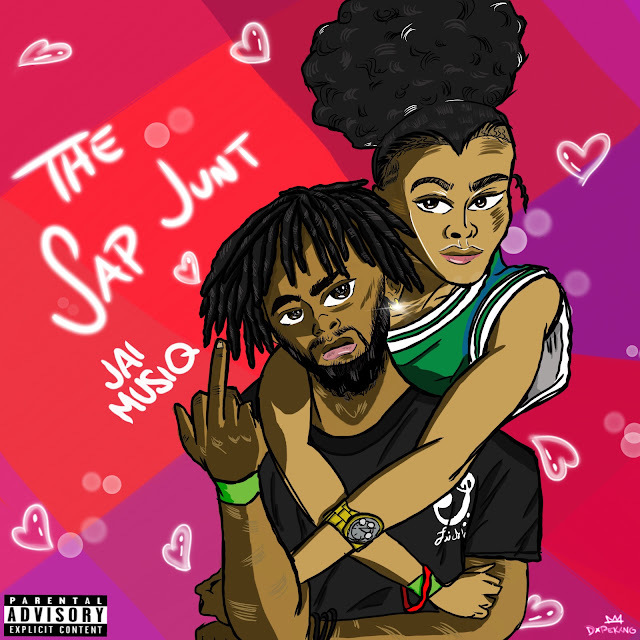 With his song “Vacation” Jai not only prepares you to get away with someone special, but he’s preparing you to take a trip with him throughout the beautifully cultivated “The Sap Junt”. Let’s Vibe.